One year ago, I discovered that I had cancer. The diagnosis of cancer paralyzed me emotionally for months with many days of nonstop crying. Throughout my cancer diagnosis, I was emotionally spent and exhausted. Sometimes for no reason, the tears would fall at the most inopportune times: driving to a Little League game, seeing a mom with her baby in the store, attending a wedding. I was blinded by the cancer, in a dazed stupor, and couldn’t see two feet in front of me. However, I had to wait four months to have surgery and began to realize that life didn’t stop just because I had cancer! Even with a cancer diagnosis, I still had my life and young children to care for! Even with a cancer diagnosis, I still encouraged my husband to pursue a career opportunity – one which required months of travel, even though that meant I would be a single mom while he was on the road. Even with a cancer diagnosis, I still had to get my young children up for school every morning and get them to their numerous appointments with specialists. Even with a cancer diagnosis, I still wanted my young son to pursue his love of baseball with a Little League team, even though it added numerous practices and games to our already busy schedule. Even with a cancer diagnosis, I still fought our school district to evaluate and test my son for special services (and lost). Even with a cancer diagnosis, I still enrolled my boys in swimming lessons. Even with a cancer diagnosis, we still took family trips across Texas. Even with a cancer diagnosis, I had to live my life!!! Could using essential oils actually help my child’s behavior? I have read tons of testimonials of people who swear that using essential oils changes the lives of their children and families. After using essential oils, they claim their children are calmer, sleep better, are more attentive, etc. I’m a biologist by trade so I was skeptical about all the hoopla I’d been hearing about using essential oils — I needed some sort of scientific proof. 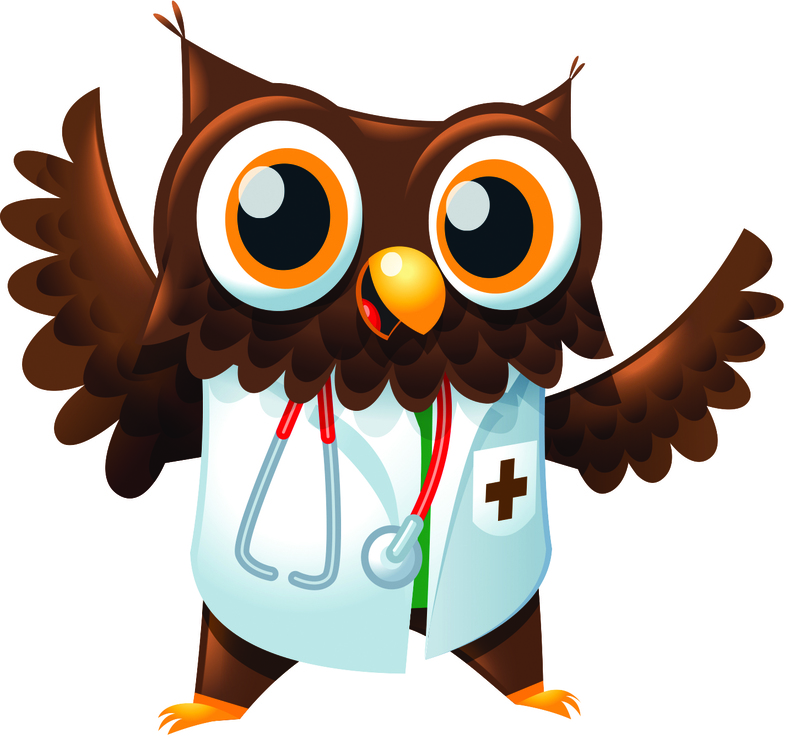 Could all the testimonies of people that were also selling essential oil products be reliable? A large body of literature has been published on the effects of odors on the human brain and emotions. Some studies have tested the effects of essential oils on mood, alertness, and mental stress in healthy subjects…Such studies have consistently shown that odors can produce specific effects on human neuropsychological and autonomic function and that odors can influence mood, perceived health, and arousal. These studies suggest that odors may have therapeutic applications in the context of stressful and adverse psychological conditions. How could this be true? I asked the question on my Foster2Forever Facebook page about using essential oils and if they really work. And I read personal testimonies with rave reviews. And then I thought if inhaling marijuana can change a person’s mood, then maybe essential oils could improve a child’s mood too? We were struggling with our children’s behavior, especially after my cancer, so we decided try using essential oils. What did we have to lose? If it didn’t work, we were out a little bit of money, but it was worth a try to us. After researching a number of companies, I decided to order from Spark Naturals, an aromatherapy company, that allows me to order with no membership, no contract, no required monthly subscriptions, and no personal volume requirements. Many of the Spark Naturals single essential oils have a price point of less than $10 for a 5ml bottle — significantly lower than the other brands I researched. The Spark Naturals diffusers cost between $52 to $62 with free shipping for all order over $55. After diffusing Spark Naturals “Bliss Calming Blend“ essential oil (5 ml for $13) in our home for a couple of months, we have experienced a significantly calmer home. This is not to say our home is perfectly calm all the time. It isn’t!!! My son is strong-willed, so we still have our “War of Wills” many days BUT they are mostly minor. We experience fewer meltdowns that last shorter, and they don’t occur every single day like they had just a couple of months before. Could it be that using essential oils is what is improving my child’s behavior? I don’t know! But what I do know is that we will continue to use essential oils because it isn’t worth the gamble not to. Have you tried using essential oils? As I fell to the floor in pain on the morning of February 25th last year, I had no idea how quickly it would change our 2014 and our future as a family. Two weeks later, I was in surgery and learned that the biopsy results indicated ovarian cancer – probably at a later stage. During my cancer, my mind was constantly swirling with questions: “What will my young boys remember about me? Will they remember snuggles, reading, trips to the park? Or will they remember how frustrated I would get with them?” With an uncertain number of days with my young boys, every single moment became about them and less about me. And that’s the whole point of motherhood, isn’t it? Focusing on your children. My boys are only 5 and 7 years old – what can they remember on their own? I have so many photos and videos on memory cards. What good are they there? My desire is to bring those memories to life through videos and photobooks. I have made a few photobooks for my kids and a few of the vacations we have taken but, for the most part, the photos of their childhood are on memory cards. This year, I will make a photobook for the years 2008 to 2013 – that’s a commitment of making an annual family album at least every other month. I hope Picaboo has some great deals this year. With my cancer, I felt pressured to share this very personal journey — and then, there were those that shared it for me – before I even had shared with my family, which overwhelmed me even more. A week before my last surgery, I ran into a friend I hadn’t seen in quite a while. Her beautiful smiling face was a joy to see. But when she smiled and asked: “How are you?” I was at a loss for words. How should I respond? She obviously didn’t know about my cancer. I felt so disingenuous when I replied: “Good!” I realized that I had to share my story – my truth – to be authentic in my journey. Through my cancer, my prayer life became much more personal, more constant. Every moment became a battle to keep my composure in front of my kids and in public. My cancer surgery was a success, and I have now been cancer-free since July 31, 2014!!! I did it! I finally broke my bad habit that I had since I was a small child! Since I was very young, I had been biting my nails. I have struggled for decades to break the bad habit of biting my nails. I tried everything to break my bad habit of biting my nails: Band-Aids, manicures, acrylic nails, gel nails, and even hypnosis. Through the years, my nail beds (especially my left pinkie) have been permanently damaged, my bottom front teeth have been worn down from my years of biting my acrylic nails, and I even chipped my front tooth from this bad habit of biting my nails. I finally was able to successfully break my bad habit of biting my nails on January 1, 2014. What changed that would enable me to finally break my bad habit and stop biting my nails? My 6-year-old son now has the bad habit of biting his nails. And his problem is worse than mine to the point that he has NO nail bed anymore, just cuticles. The epiphany for me came one day when I saw him biting his nails and told him to stop – and realized that I had to take my fingers out of my mouth to say it. *face palm* moment there, folks! You must watch this 3-minute video of Duhigg describing how bad habits really work. In his book, Duhigg details the HABIT CYCLE of Mandy, another life-long nail biter. I discovered my CUE (or trigger) to bite my nails occurs when my hands aren’t busy — I begin feeling the edges of my nails for an uneven texture, and then when I feel something, I have developed the ROUTINE to “smooth” it by scraping it, then biting it. It’s hard to describe — almost like I’m seeking a form of touch sensation in my fingertips (similar to those commonly found in Sensory Processing Disorder). Read The Power of Habit: Why We Do What We Do in Life & Business by Charles Duhigg to become aware of your habit and ideas on how to break your bad habit. When I began noticing that my fingers were touching my mouth, I began rubbing my fingertips against my forearms to replace that feeling of touch. Use Mavala Stop to create a bitter taste when your fingers touch your mouth. Mavala Stop was part of the awareness process for me. I didn’t realize how often I moved my fingertips to my mouth. With the Mavala Stop, I stopped putting my fingers in my mouth and began just brushing my fingertips against my mouth. This still left a bitter aftertaste on my lips that even my husband noticed. I was then able to replace brushing my nails against my lips to rubbing them on my arms. Use nail buffers and nail files incessantly. Anytime I felt any kind of snag, I would pull out an emery board or buffer and smooth it out. I kept them everywhere – in my purse, car, desk. Another tip is to buff nails to a shine before you use the Mavala Stop. Keep cuticles trimmed. Use a cuticle pusher to push back cuticles, then use a cuticle nipper to trim cuticles smooth. After only 2 weeks (14 days), you will be able to see your efforts pay off — you will be able to actually see white tips on your nails — Congratulations– treat yourself to a manicure!!! Use a nail strengthener like Salon Sciences Instant Artificials which worked the best for me! I tried others but they dried out my nails making them brittle. You wouldn’t believe how hard my nails got with the Instant Artificials. Keep your nails pretty & painted. I’ve discovered that glitter polish lasts the longest without showing nicks and flakes. My favorite is L’Oreal Paris Colour Riche Nail Gold Dust Nail Color with its texture. I have broken my bad habit for an entire year now! If I can do it, so can you! Tag me on Twitter or Instagram to show me your progress! You can do it! Earlier this week, my kindergartner woke up with a HORRIBLE hacking dry cough and no voice. I was surprised since the temperature outside is still in the 90s here in Texas. “Cold season” generally runs from September to April! I didn’t realize that colds begin this early in the school year, but, of course, those are the months the kids are in school spreading their germs with all the other kids. Although my kindergartner will eat just about anything – if you say the word “medicine” – he will start whining, crying, begging, and hiding. Isn’t that weird? Giving this child medicine can become an incredible struggle! Many times, before it’s over, we’ve had to resort to putting the medicine in a syringe, holding him down, and slowly squirting it in his mouth, just to get the medicine in him!!! And then he will just spit it out if we don’t watch…. How many of you can relate to this scenario??? 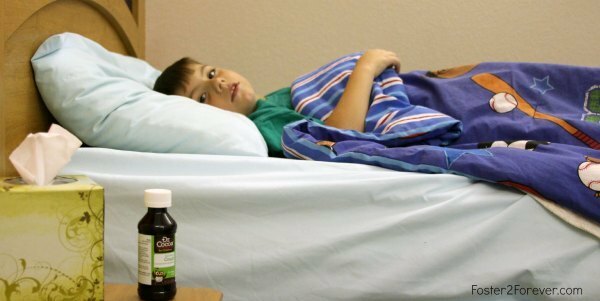 In a new national survey of U.S. parents of school-aged children (ages 4-13), 40% say that they find it isn’t always easy to give their children over-the-counter liquid cough and cold medicine. Dr. Cocoa™ for Children had sent me their products to try so I thought we’d try the Dr. Cocoa™ products that are made with 10% real cocoa — maybe my son might be more willing to take this medicine if it was flavored with “CHOC-WAT” (my son’s cute way of saying “chocolate“). Dr. Cocoa™ Long-Acting Cough Relief is so chocolate-y that my son licked it up! (because it’s that thick) He even said “Yummy!” That’s the first time that’s happened! To be honest, I was skeptical about chocolate-flavored cough medicine, but since trying it, I have been telling my family and friends about the Dr. Cocoa™ products that really is chocolate-flavored. Now I want Dr. Cocoa™ to make a children’s pain reliever! How about it, Dr. Cocoa™? 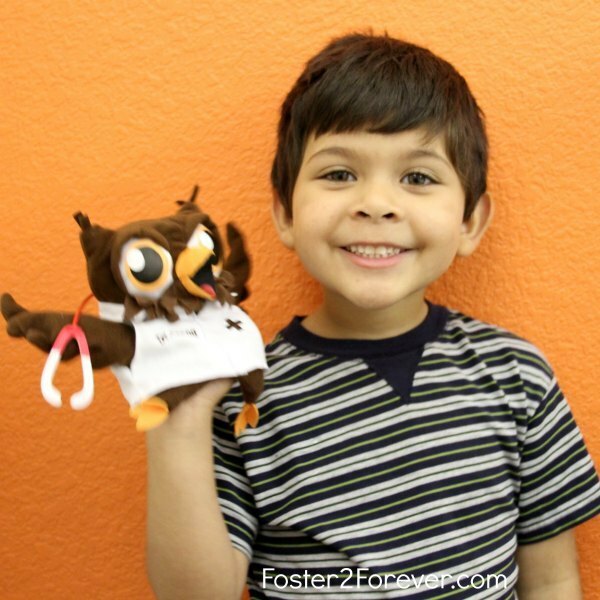 Like the Dr. Cocoa™ Facebook page to win a Dr. Cocoa™ hand puppet. 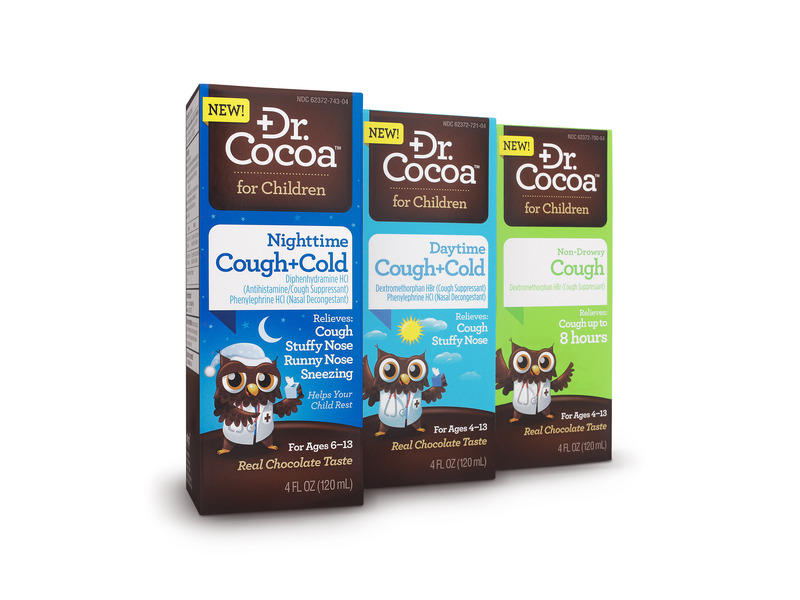 Here is a $2.00 off coupon so you can try Dr. Cocoa™ for Children yourself. You can buy Dr. Cocoa™ for Children at these locations. Disclaimer: This is a product-provided, sponsored conversation that contains affiliate links. But this is my true experience with Dr. Cocoa™ for Children products. More than one in five children (including one in four Latino children) in the U.S. may not know where their next meal is coming from — nearly 16 million children experience child hunger! Children who experience even intermittent struggles with child hunger may suffer serious, long-term consequences to their health, well-being and educational achievement. I know these effects first hand! Our son experienced child hunger before being placed in foster care. When our toddler’s tantrums morphed into rages as he got older, as parents, we felt more and more hopeless — we didn’t know what was going on in our little boy’s brain! We were frightened that our son could have serious psychological issues. However, thanks to Empowered to Connect, we began to realize that our son’s rages were associated with hunger. Due to our son’s early neglect and experience of child hunger, his little brain had been rewired to believe: “when I’m hungry, I might not eat, I might die” which can trigger the fear response of fight or flight. (our son is a fighter) Once we realized our son’s fits were associated with child hunger, we have been able to help him by giving him a quick snack to reset his blood sugar. We have now reduced our strong-willed son’s fits by 95%!!! That’s why child hunger is an important topic to me! I’m proud to be partnering with ConAgra Foods to help build a community of people to make a difference and help donate up to 7 million meals through P&G’s Child Hunger Ends Here campaign. To learn more about how you can help end child hunger, join the Child Hunger Ends Here Facebook page or connect on Twitter or Instagram! How do your children respond to hunger? Disclosure: I participated in this important program on behalf of ConAgra Foods and The Motherhood, but this is my true experience of child hunger. I don’t know about you, but getting my kids to brush their teeth has ALWAYS been an intense struggle! It seems my kids’ sensory issues keeps them from wanting to brush their teeth. Intense battles ensue! And I always seem to lose that battle – every – single – night! The app was super-easy to set up with one boy choosing to be Ironman and the other choosing to be Jake from the Neverland Pirates. As my kid brushes his teeth, the app shows a toothbrush slowly brushing to reveal a Disney scene that becomes a sticker in his album. And would you believe, this is all that it takes to get my kids to brush their teeth?!!! Also, the app prevents hackers, like my son, from cheating — my son tried to get more stickers by brushing his teeth twice in a row — the app didn’t let him! Do you struggle to get your kids to brush their teeth? I lost my dad to cancer over 25 years ago. Much like my foster kids, I will never recover from that traumatic loss of a parent. Cancer traumatized me as a young college student when my dad was suddenly in ICU, disoriented, and strapped to his bed. My dad had suffered a seizure and had become aggressive with the hospital staff. A cat scan showed that my dad had 3 tumors in his brain. All those years of smoking had led to lung cancer that had metastasized in his brain. The doctors gave him 6 months to live. And just like that, with no warning, cancer, the silent killer, destroyed our lives! My hearing-impaired father, who had recently lost his job of 26 years, was just too proud to ask for help: My Daddy had been living in his home with no electricity, surviving on a diet of pecans he had gathered from a local park. And now CANCER! With no health insurance, we had very little hope. However, even in our darkest hours, God can still shower us with His blessings. We were blessed by many angels that helped us through this horrifying journey of brain cancer. My heart overflows for all those that helped our family during this difficult time. I am extremely grateful for the American Cancer Society. The ACS provided us with a wheelchair and hospital bed once my dad became bedridden. Thank you again! 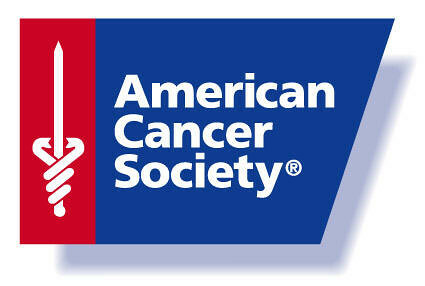 The American Cancer Society will turn 100 years old on May 22, 2013. Watch this moving video! By not remaining silent, the work of the American Cancer Society has helped lead to a 50 percent drop in smoking since the 1960s, which has contributed to a drop in overall lung cancer death rates. ACS has played a role in nearly every cancer research breakthrough in recent history. And because of this research, I am now 9 years CANCER-FREE!! Continue to ensure lifesaving cancer research gets funded. Undertake a historic research study called the Cancer Prevention Study-3 (CPS-3) that will help us understand how to prevent cancer and save lives. The goal is to enroll at least 300,000 adults from various racial/ethnic backgrounds from across the US by the end of this year. Make sure that people facing cancer have the help they need, like a free place to stay during treatment and a ride to get there. Keep fighting for everyone to have access to quality health care, lifesaving screenings, clean air and more. Although this post is sponsored by American Cancer Society, it is my true story of cancer…This is a sponsored post written by me on behalf of the American Cancer Society.